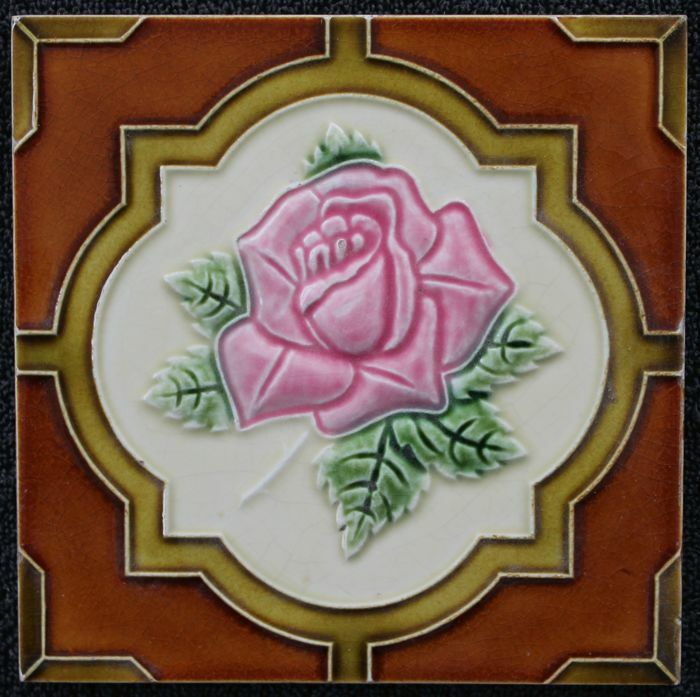 Art Nouveau tile made by: SA Societe Belge de Ceramique Cerabel, Baudour, Belgium. Made around 1935. Continuation of the factory Pavillons, Florennes. The back is marked with the factory hallmark. Decoration applied in relief by means of the dust-pressed technique. The tile is in good condition, with some minor damage to the edges. 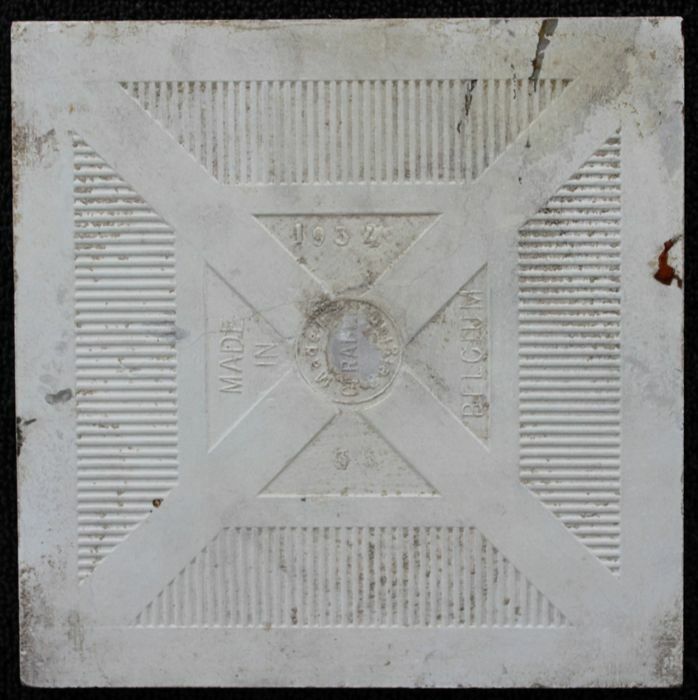 The tile is 15.6 x 15.6 x 1 cm thick.